1999-2003 Ford 7.3L Powerstroke - Compared to OEM, Mishimoto's DuraCore™ performance boots provide superior resistance to heat, pressure, fuel, and oil - increasing the life of your boots by preventing leaks and blowouts. 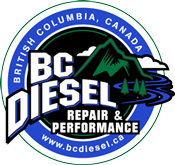 1999-2002 Ford 7.3L Powerstroke - Avoid those nasty intercooler boot blow-offs on the highway with BD's Heavy Duty Intake Hose & Clamp kit. Each hose is designed to meet 3x their working pressure, and comes with spring loaded stainless steel clamps for consistent clamping force. Don't let a stock intercooler boot ruin your day, at the track or on the strip. 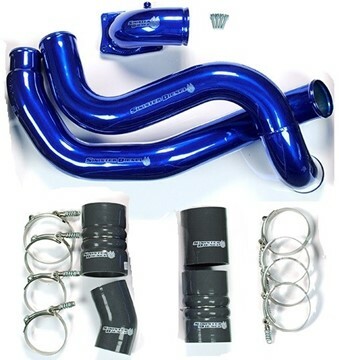 Upgrade your 1999.5-2003 Ford Powerstroke 7.3L today with Sinister Diesel Upgraded Intercooler Charge Pipe Silicone Boots and Clamps. 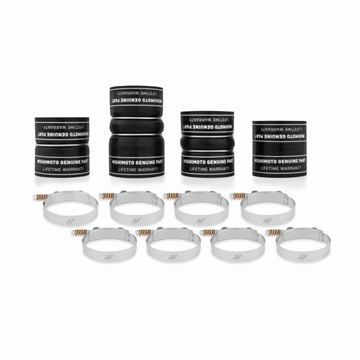 2003-2007 Ford 6.0L Powerstroke - This Mishimoto Silicone Boot kit is precision-engineered for a flawless fit on your Powerstroke and will provide years of service. Get rid of the stock intercooler hoses from your 2003-2007 Ford Powerstroke 6.0L - they're well known for blowing you off to the side of the road. 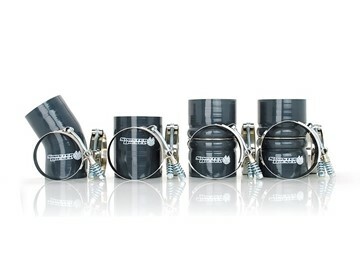 These heavy duty 4-ply silicone boots and stainless T-Clamps will keep you on the road for miles and miles! The stock intercooler hoses that come with your 2003-2007 Ford Powerstroke 6.0L turbo diesel are NOTORIOUS for blowing off under heavy loads. 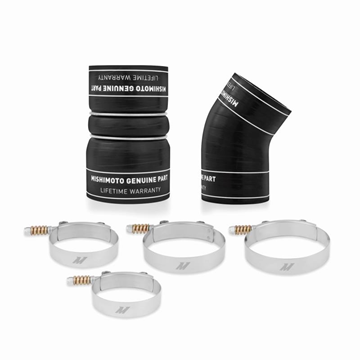 BD's Nomex silicone hoses can withstand over 100 psi of boost and are secured by rugged, spring-loaded stainless steel T-bar clamps. Sinister Diesel's heavy duty intake boots are Four Ply Silicone and won't crack or split like the factory rubber boots. Don't get stuck on the side of the road with a blown intercooler boot! Fits 2003-2007 Ford 6.0L Powerstroke diesels. 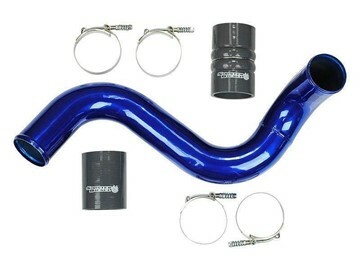 The Sinister Diesel Cold Side Charge Pipe Kit for the Powerstroke 6.0L includes the intercooler pipe that connects the intercooler to the intake. This upgraded pipe is larger in diameter and has smooth mandrel bends to increase air flow velocity to improve power and lower EGTs. 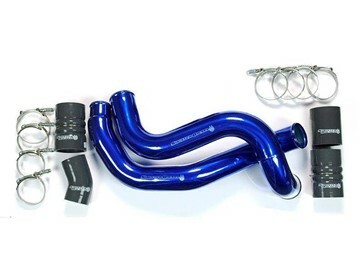 The Sinister Diesel Hot Side Intercooler Charge Pipe for 2003-2007 Ford Powerstroke 6.0L trucks replaces the stock, restrictive piping that connects the turbocharger to your intercooler. This upgraded pipe is larger in diameter and has smooth mandrel bends to increase air flow velocity to improve power and lower EGTs. 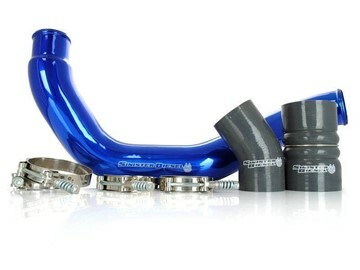 The Sinister Diesel Charge Pipe Kit for the Powerstroke 6.0L includes the intercooler pipe that connects the intercooler to the intake, and the pipe that connects the turbocharger compressor to the intercooler. This upgraded pipe is larger in diameter and has smooth mandrel bends to increase air flow velocity to improve power and lower EGTs. 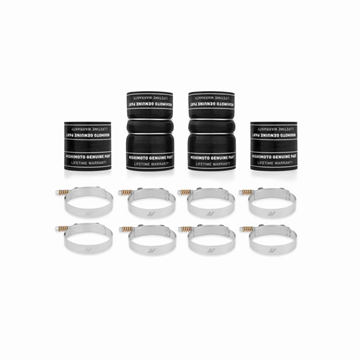 The Sinister Diesel Charge Pipe Kit with the Intake Elbow for the Powerstroke 6.0 includes the intercooler pipe that connects the intercooler to the intake, the pipe that connects the turbocharger compressor to the intercooler, and the intake elbow. This upgraded pipe is larger in diameter and has smooth mandrel bends to increase air flow velocity to improve power and lower EGTs. 2008-2010 Ford 6.4L Powerstroke - Compared to OEM, Mishimoto's DuraCore™ performance boots provide superior resistance to heat, pressure, fuel, and oil - increasing the life of your boots by preventing leaks and blowouts.